Former BC Health Minister Warns Ontario a New Opioid Disaster Is Coming - Dope Inc.
From left to right, former BC health minister Terry Lake, via CP. | Vials displaying the lethal dosage of each drug, via Facebook, user Kensington Police Service. Fentanyl arrived in British Columbia in 2013, and overdose deaths increased gradually across the province. By the winter of 2016, we were seeing roughly 60 deaths every month, triple the number that was once considered « normal » in BC. Then something changed. There were roughly 60 fatal overdoses in September 2016, according to the BC Coroners Service. Then, in December, there were 160. It was frightening for neighbourhoods hard hit by the crisis. We didn’t know what was going on. Vancouver’s Downtown Eastside had struggled with fentanyl for several years and this was something worse. Months later, lab resultsconfirmed drug users’ suspicions. Just as fentanyl had contaminated the heroin supply years earlier, now carfentanil was poisoning Western Canada’s fentanyl supply. Terry Lake was BC’s health minister from June 2013 to June 2017, a period that includes the onset of BC’s opioid epidemic as well as that scary winter, during which time he made several visits to the Downtown Eastside. Lake has a warning for the rest of Canada: Carfentanil is on the way. Fentanyl arrived in BC first and then moved east across Canada. Now carfentanil, a synthetic opioid significantly more toxic than fentanyl, is coming behind it. In Ontario, there were 743 overdoses associated with fentanyl last year, compared to 1,210 in BC, which has a population one-third the size of Ontario’s. Both figures are up from 2016, when there were 353 fentanyl overdoses in Ontario versus 667 in BC. Differences in how BC and Ontario define and count overdose deaths make direct statistical comparisons difficult. Ontario numbers include prescription fentanyl obtained legally, for example, while BC’s do not. But the data roughly shows that while both provinces are struggling with illicit fentanyl, Ontario is a year or two behind BC. And now carfentanil is on its way. It was first detected in Ontario in the Niagara region in a fatal overdose that dates to November 2016. Since then, only a few additional cases have occurred in Ontario. But Lake repeated it is very likely more are coming. « I hate to be a pessimist, but I can’t see how you stop it, » he said. In Lake’s tenure, BC’s response led with harm reduction, including a rapid expansion of supervised-injection services with a new model the province calls overdose-prevention sites (think stripped-down injection sites). 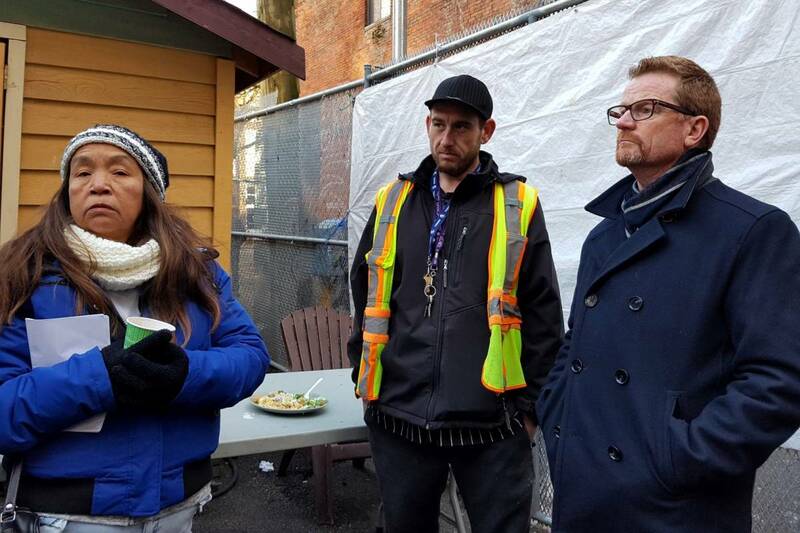 In December 2016, Lake called reporters to Vancouver’s Downtown Eastside and announcedBC would establish 18 sites for injection-drug use, without Ottawa’s approval. In Ontario, there are signs the response will be very different. On July 24, Christine Elliott, health minister for the new Progressive Conservative government, said existing supervised-injection services recently established in Ontario under the previous Liberal government would be put under review. « We’re going to be looking at all of the sites, and we’re going to be making a decision based on the evidence relating to the individual sites as well as the situation overall, » Elliot said. The scientific evidence supporting the health benefits of supervised-injection facilities like Vancouver’s Insite is overwhelming. So what does the Progressive Conservative government intend to accomplish with its review? A statement that the party’s leader and Ontario’s new premier, Doug Ford, made on the campaign trail in April 2018 might serve as a hint. Without Ontario’s new overdose-prevention sites, fentanyl and carfentanil threaten to burn through Ontario’s drug-user communities like a wildfire. Will Ford and his government hear Lake’s warning and follow B.C.’s lead on harm reduction? If Lake’s previous experience is any indication, his concerns for carfentanil will largely go unheeded. Lake, who retired from politics in 2017 and today works in the private sector, recounted attending a conference on opioids that the federal government convened in November 2016. « Nearly two years ago, when we did that opioid summit in Ottawa, I was upset that the whole focus there was on the prescribing issue, » Lake said. « I tried to tell them that it might have been exacerbated, or that the catalyst for all of this might have been the over-prescription of opioids. But the real problem is a toxic drug supply. And two years ago, nobody wanted to hear that. « I think people here [in Ontario] just did not understand that the acute crisis [in BC] was a result of the toxic drug supply rather than so many people hooked on [prescription] opioids, » he explained. « A significant number of people can be hooked on opioids without dying from them. But as soon as we had fentanyl coming into BC and then Alberta, those [fatal-overdose] numbers took off. « And now we’re seeing the numbers here [in Ontario] climb because of a toxic drug supply, » Lake said. The Ontario health ministry takes issue with claims it has been slow to respond to the province’s overdose epidemic. It declined to grant an interview for this story, citing the new government’s need to complete reviews of the previous government’s programs and plans. But Lena Ross, a spokesperson for the ministry, supplied a list of actions the Liberals took in response to fentanyl arriving in Ontario. Ontario began expanding access to naloxone—the so called overdose-antidote that reverses opioids’ effects—in the summer of 2016. Later that year, it made it easier for people addicted to opioids to access the opioid-substitute suboxone. It also improved overdose-reporting practices. But it wasn’t until the fall of 2017 that any sort of sense of urgency became evident. That’s when Ontario finally began increasing investments in harm-reduction programs and deployed additional staff to the epidemic’s front lines. And it’s not until a separate list detailing the spring of 2018 that Ontario’s government notes it was finally supporting overdose-prevention sites like those Lake deployed in BC in the winter of 2016. Zoë Dodd makes a persuasive argument in claiming Ontario was slow to respond to fentanyl. She says she knows that was the case, because it was her and activists working alongside her who took the required steps that government would not. In August 2017, Dodd and other members of the Toronto Harm Reduction Alliance including Leigh Chapman and Matt Johnson met in Moss Park and established Ontario’s first unsanctioned overdose-prevention site. Authorities didn’t shut them down, Dodd acknowledged. But it wasn’t until June 2018* that the province actually began providing the group with funding and helped themmove out of the park, into a nearby location indoors. Similar to Lake, Dodd insisted it was years ago that drug users in Toronto first told officials that fentanyl was killing their friends. « Lots of us started warning the [provincial] government and the city many years ago, » she said. « I lost a friend in 2015 to heroin laced with fentanyl. So it wasn’t like we weren’t seeing it….And we were talking to city officials and provincial officers. In every report that we did, we said we saw a rise in overdose deaths. Now a few years later, Dodd said she’s hoping authorities will finally listen to her advice. The idea isn’t as radical as it might have sounded just one month ago. On July 16, the Toronto board of health officially adopted a position in favour of decriminalization and began advocating for Canada’s federal government to amend the Controlled Drugs and Substances Act to remove criminal penalties for the personal possession of all illicit narcotics. “Our belief, based on the evidence, is that the criminalization of people who take drugs actually is contributing to this opioid-overdose emergency in our city, because it forces people into unsafe drug practices and actually presents a barrier to those who might be interested in seeking help for addressing opioid-use disorders,” Toronto medical health officer Dr. Eileen de Villa said earlier in the month. Lake also came onboard with decriminalization, albeit reluctantly. Lake maintained that decriminalization would not solve Canada’s opioid epidemic, but would save lives. We’ll find out if other provinces listen. Travis Lupick is a journalist based in Vancouver and the author of Fighting for Space: How a Group of Drug Users Transformed One City’s Struggle with Addiction. You can follow him on Twitter, Facebook, and Instagram. *Overdose prevention site funding arrived in June 2018, not July 2018 as previously reported due to an editing error. Who Was Killed in America’s Drug War Last Year?